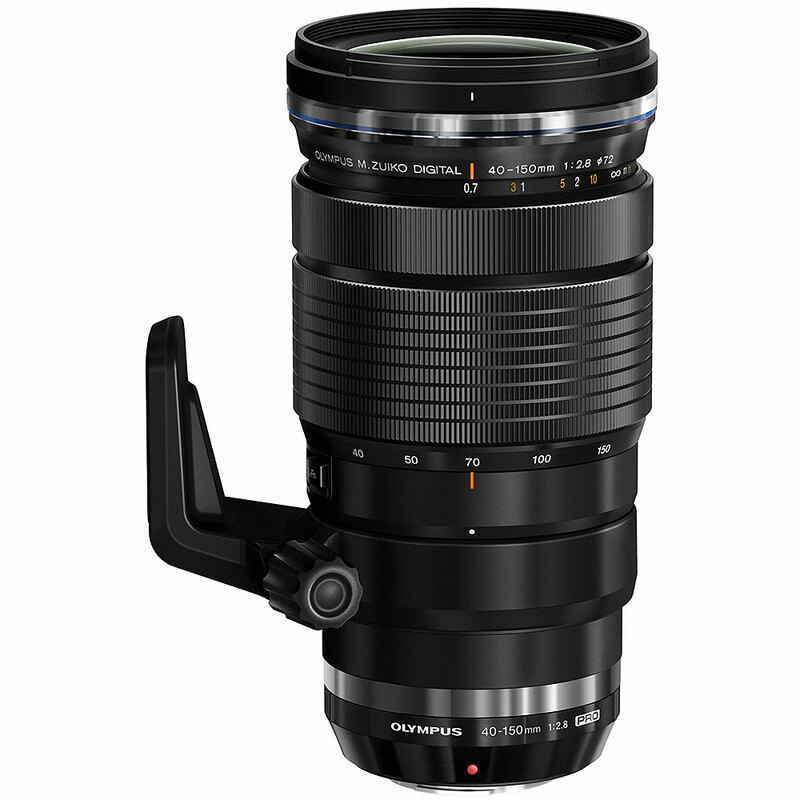 The M.ZUIKO 40-150mm f/2.8 PRO is a compact, full-featured zoom that sports premium metal construction and professional-quality lens elements. It’s light in weight and fully sealed for weather protection, delivers super-sharp edge-to-edge image quality, and boasts the world’s first Dual VCM autofocus mechanism. An excellent complement to your fast primes and the 12-40mm f/2.8 PRO. Smooth, rapid autofocus is a crucial factor in image quality. The 40-150mm f/2.8 PRO’s innovative, industry-first Dual VCM (voice coil motor) AF delivers. Separating the focusing mechanism into two lens groups controlled by individual linear drive motors makes AF performance extremely fast and, with no gears involved, nearly friction-free and incredibly quiet. We know that serious shooters need the highest quality equipment, so we built the 40-150mm f/2.8 PRO zoom accordingly. The premium metal lens body incorporates 16 elements in 10 groups, including Olympus ZERO-coated HD, ED, EDA and – for the first time in an M.ZUIKO lens – Super EDA glass for significantly reduced chromatic aberration, ghosting and flares. And its fixed f/2.8 aperture is bright enough to capture sharp images across the entire zoom range. Sometimes the harshest conditions produce the most dramatic photo opportunities. With 11 separate seals to keep out moisture and dust, the 40-150mm f/2.8 PRO is ready to take on the elements. You don’t have to baby this baby! At less than two pounds and a constant 6.2-inch length (lens movement is internal), the 40-150mm f/2.8 PRO combines with OM-D or PEN camera bodies to create a very stable shooting platform. The 40-150mm f/2.8 PRO also makes it simple to shoot your way. Adjust settings on the fly with the programmable L-Fn function button - located right on the lens barrel for easy access. Or switch instantly between auto and manual focus with the Manual Focus Clutch mechanism. A 1.4x teleconverter is available for the 40-150mm f/2.8 PRO that extends its focal length to a whopping 210mm (35mm equivalent of 420mm) for those really long shots. You can also get a ZUIKO protective filter that features Olympus' renowned ZERO coating technology.